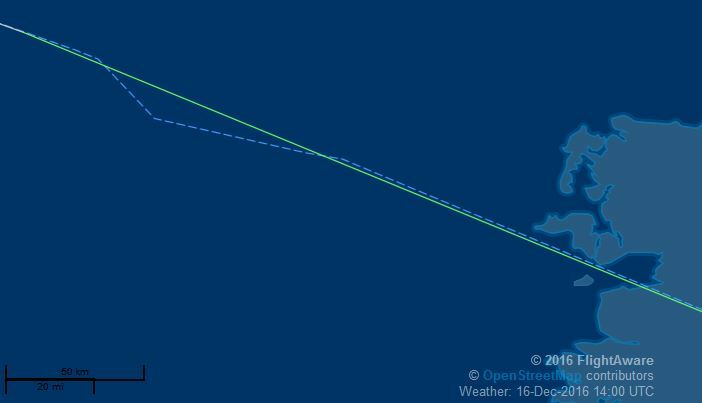 I'm following BA0213 from LHR-BOS as my wife is onboard and coming over for Xmas. 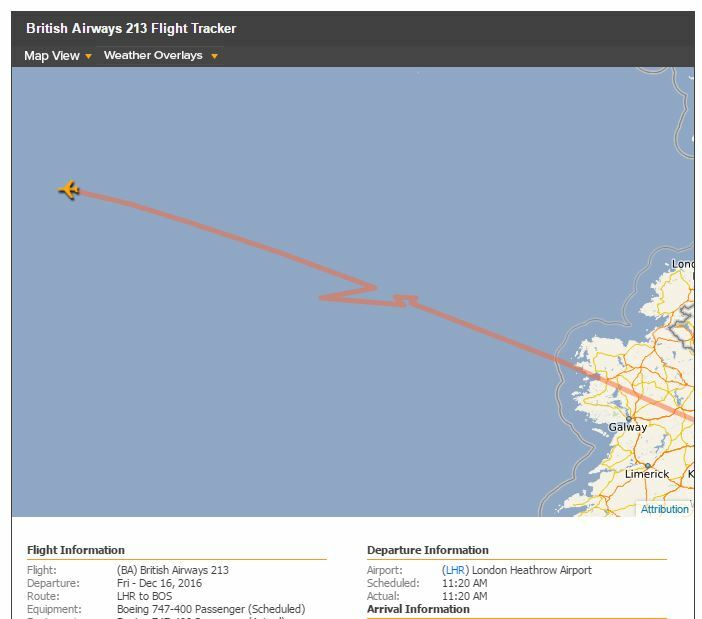 Just noticed this unusual and strange flight pattern just off the British coastline. Any idea why this would occur? Don't rely on flight trackers, especially over the Atlantic, as they often have glitches which do not reflect the actual progress of the aircraft - its pretty much guaranteed that the aircraft did nothing more than fly straight and level during the supposed course change shown. This isnt always the case, as aircraft can be asked to do a 360 degree turn to correct any spacing issues between them and the aircraft in-front of them. This may be the case in this particular flight, with the flight tracker recording that oddly from the ADS-B signals. Its also worth noting that ADS-B receivers are extremely sparse over oceans, so after a certain point trackers solely rely on path prediction. Not the answer you're looking for? Browse other questions tagged british-airways flight-status or ask your own question. What are possible reasons for this strange flight pattern?